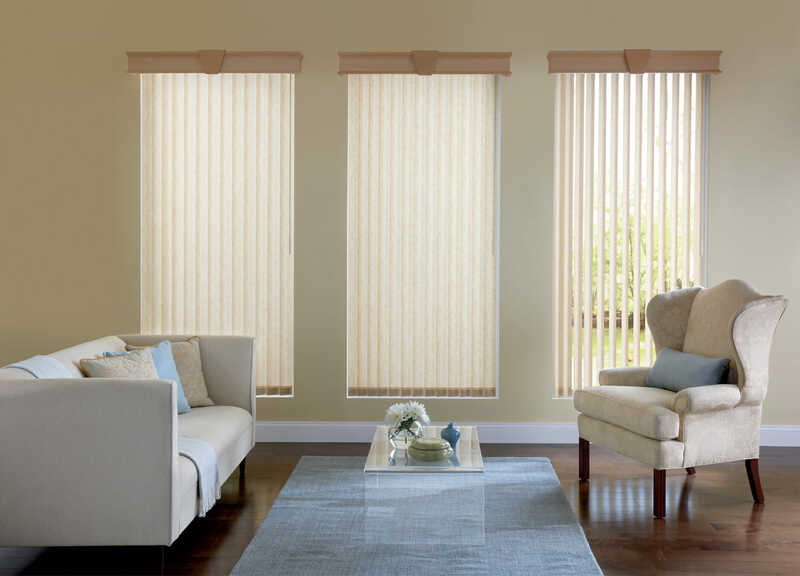 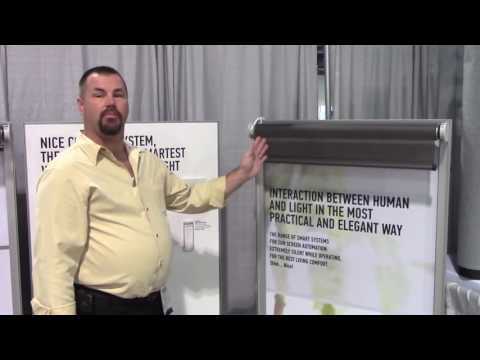 Vertical blinds are characterized as blinds with moveable slats that hang in the vertical orientation. 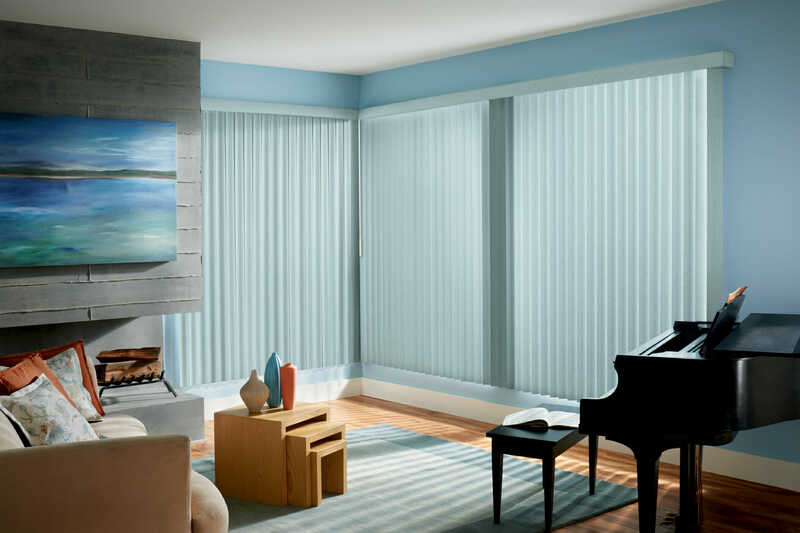 When closed, vertical blinds block a significant portion of light, but can also be adjusted to allow small bits of light to filter in while still maintaining your privacy. 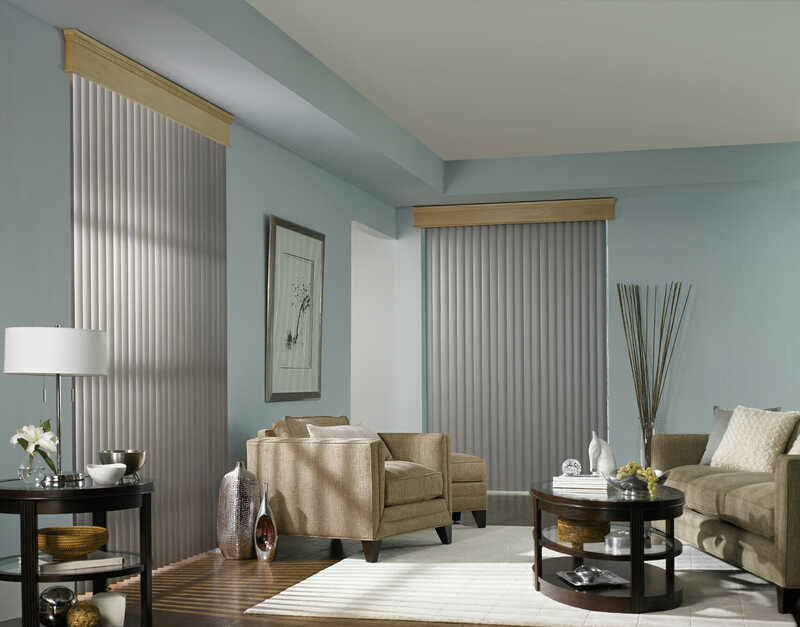 When used with side opening windows or doors, vertical blinds also allow a light breeze to come through while still giving you both light and privacy control. 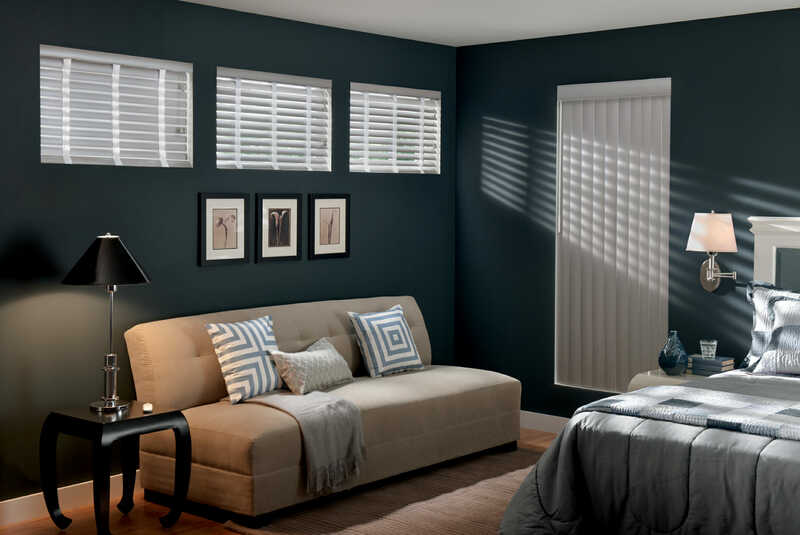 Vertical blinds are typically easier to clean than most other varieties of window treatment and only require a quick wipe down with a wet rag and an all-purpose cleaning solution. 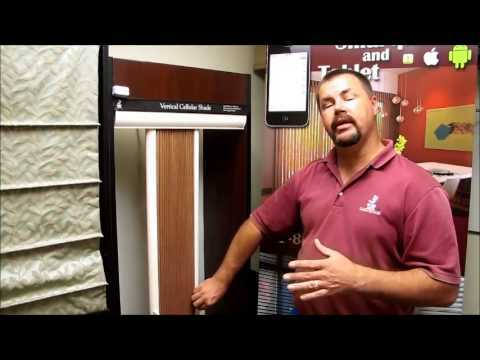 This is especially true if you choose to order a vertical blind in a common vinyl PVC. 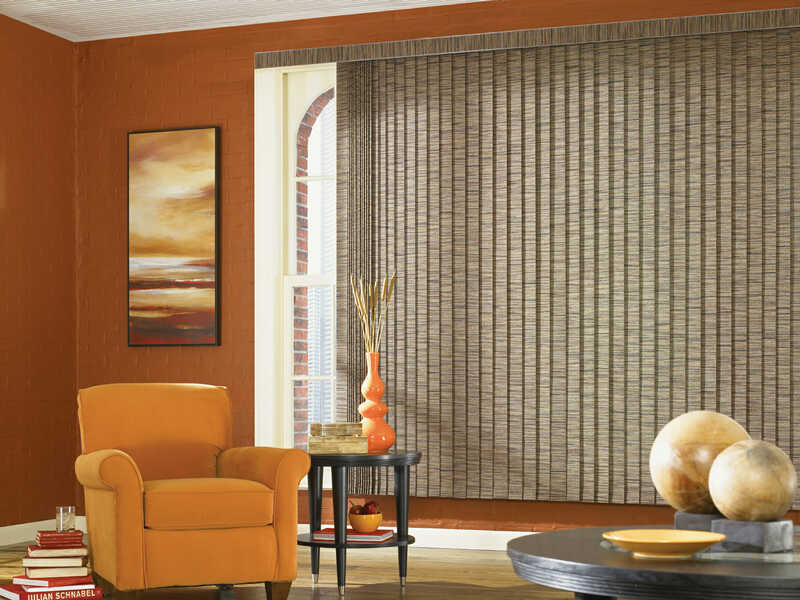 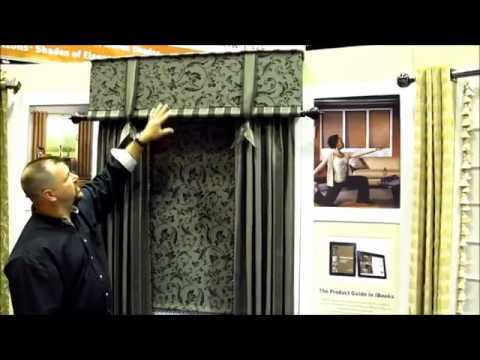 Vertical blinds are available in a multitude of textures and custom materials including wood, free hanging fabric, metals, and even custom material like leather or bamboo. 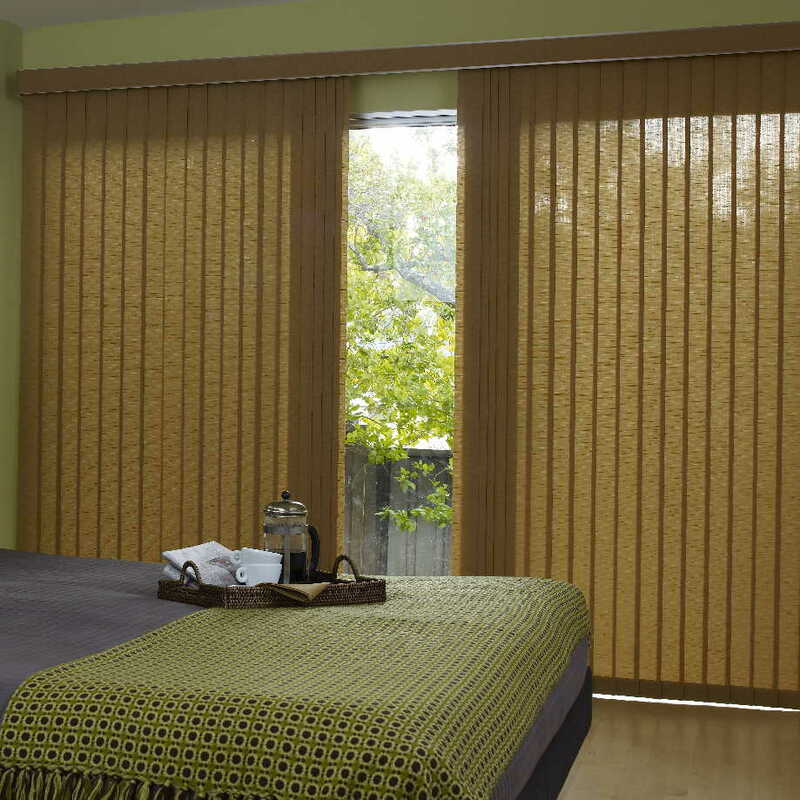 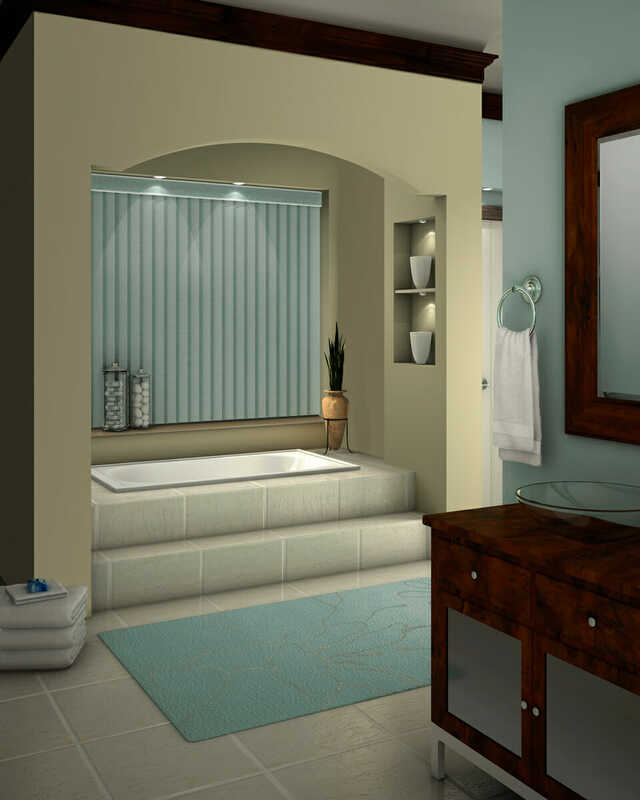 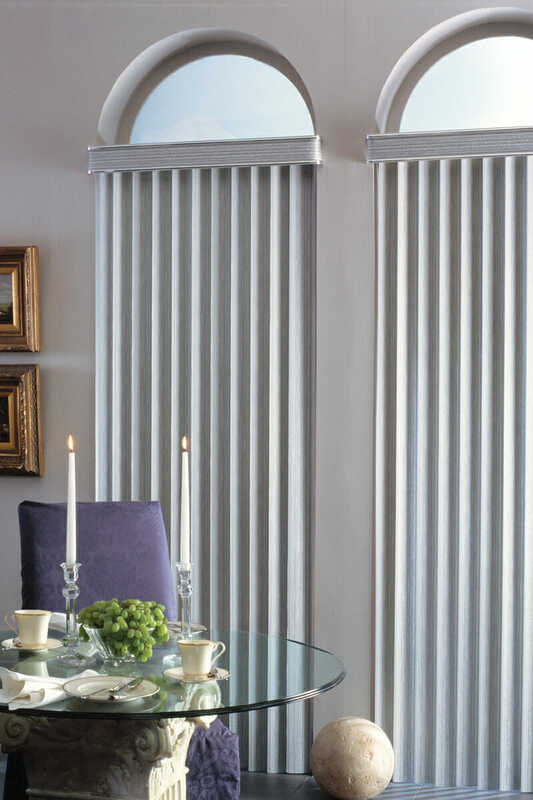 The slats are also available in custom sizing options ranging from 2 inches to 10 inches wide. 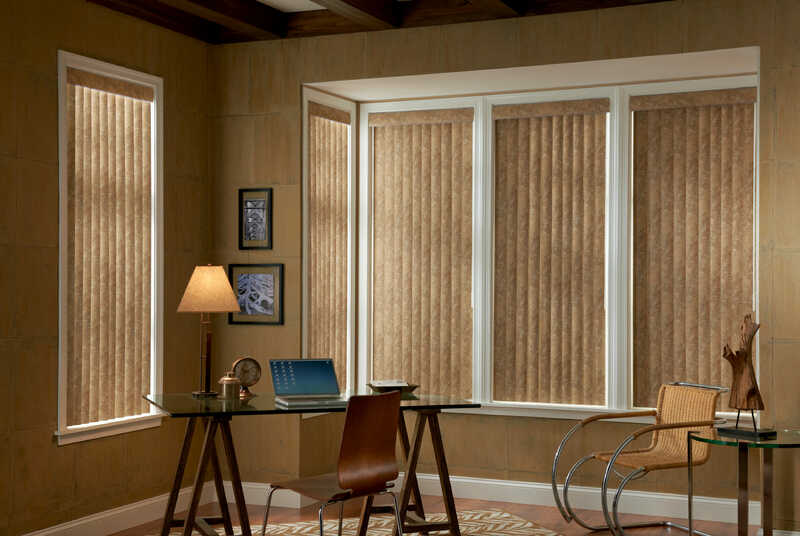 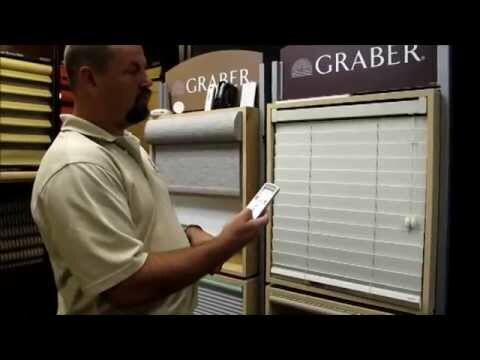 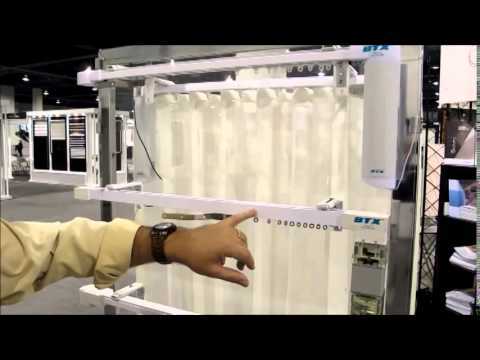 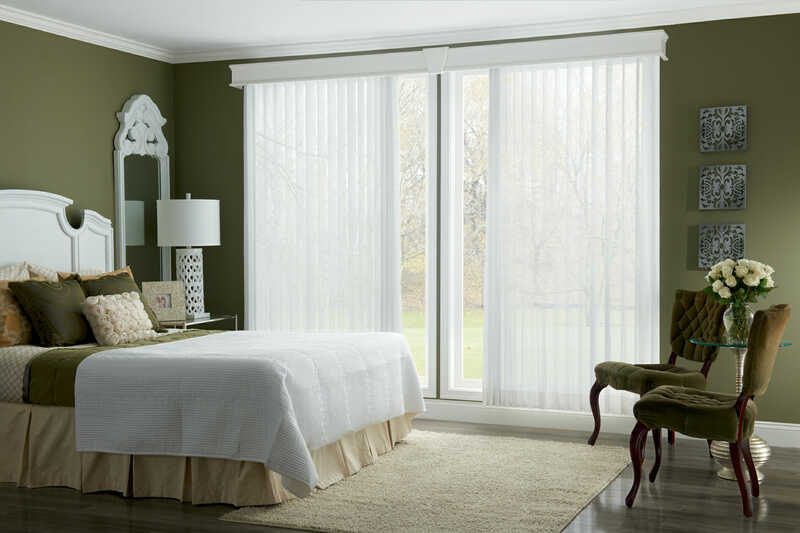 Vertical blinds are typically operated by a control wand, or a cord and chain mechanism, but can also be motorized for even greater ease of use. 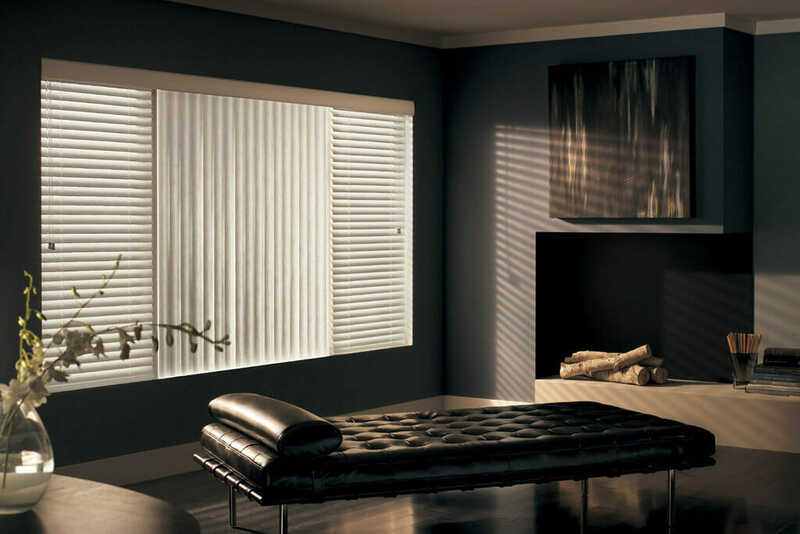 Another interesting advantage to vertical blinds is the ability to replace only a few slats if necessary, instead of having to completely replace your whole window treatment design if it becomes stained, damaged or otherwise unsightly. 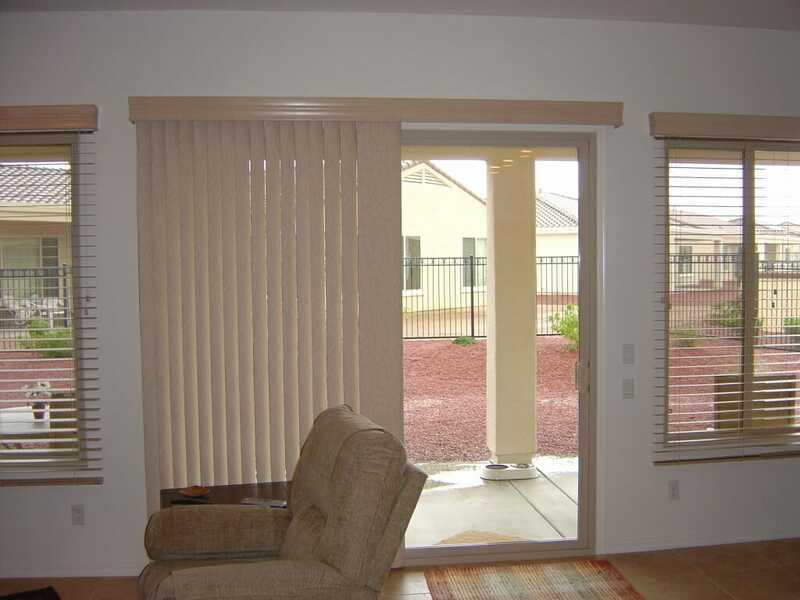 This makes vertical blinds a great option for very high traffic areas of your home, for example, a kitchen sliding door leading to an outdoor patio.